Affordable home at 8586 E Sandrea Ln, Ladoga, IN 47954. Do not miss the opportunity of getting the home in 8586 E Sandrea Ln, Ladoga, IN 47954. It is a quiet community, agriculturally rich in the Southeast corner of Montgomery County, practically free of crime, fire and police protection which is excellent in growing a family. It has easy access to the environment and other amenities which you can enjoy. So take advantage of this home now at 8586 E Sandrea Ln, Ladoga, IN 47954 which features a master suite with walk in closet, with 4 additional bedrooms, a simple Jack and Jill bath and a full bathroom, a spacious living room with a fireplace and a nice family room that is open to the kitchen/dining room combo for an affordable price!. Call us now here at RE/MAX Advance Realty, phone number is 317-298-0961 to schedule a showing and we will be happy to assist you in anyway we can. During the last Decade, it is one of the fastest growing communities in the nation. With a population of 82,485 people and by the ambitious redevelopment of the city; Carmel, Indiana has a become a vibrant city like it’s no longer a place to sleep at night! With excellent schools, safe neighborhoods, and ease transportation, Carmel city could be your ideal place to live in. Also for its rich architectural diversity, known for its distinct residential neighborhood, including many beautiful estates; it is a great attraction mostly for famous people and top companies in the US which kept their tax payments some of the lowest in the state. There are also a lot of amenities, Events and Festivals you can enjoy! So grab the opportunity now! Call us now here at (317) 298 – 0961 for more information and Be a part of this great city of Carmel. McCordsville, IN is the second largest municipality solely in Hancock County. It is also one of the towns in Indiana where you can be proud of living. They have been an incorporated town in the past 16 years which they have shown signs of growth with a population of over 5,000 people. The houses are very nice and comfortable; the environment is very accessible to different amenities such as restaurants and shopping nearby and when it comes to education they have one of the highest rated schools that can give better opportunity for your children(s) both academics and sports. A neighborly sort of town where people are supportive and friendly. So be a part of this great community! Call us now at (317) 298 – 0961 for more information. Isn’t it nice to know that you have a beautiful home where after a long stressful day at work, you have a place of nirvana where you can relax and release the stress you’ve gathered for the day? YES it is! So take advantage of this unique classy home located in 6767 Buckingham Ln, Brownsburg IN 46112 made with custom built stone and brick features a covered back porch with paver patio, wood floors, multiple ceiling details, transom windows, raised vanities, a cool roman garden jetted tub and tile seated MB shower, 2 bedrooms, 3 bathrooms. Also have an oversized garage which is 26’9” deep for storage, community center and more! Be the lucky person to avail this opportunity. Come and visit us here at 2611 Waterfront Pkwy #225 Indianapolis IN 46214 or call (317) 298 – 0961 for more information. Greenwood, IN is nevertheless home to its own range of attractions and activities. You get to have fun with your families and friends with all the golf courses, clubs, lovely parks, mostly Indiana’s natural beauty that is offering plenty of opportunities for you to get out, enjoy and to explore. And during the nights, Greenwood's restaurants can provide relaxing night out for you, your family or friends where you can enjoy delicious foods and good ambience. So visit us now here the Indy Home Pros Team at RE/MAX Advance Realty located at 2611 Waterfront Parkway E. Dr. #225 | Indianapolis IN 46214 or call our office at 317-298-0961 for more information and we would be very glad to schedule a showing for you and help you be a part of a quiet small town with the convenience and activities of a big city! 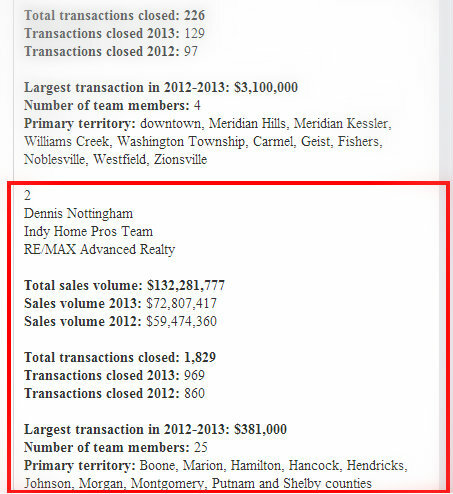 Providing the best service for our clients in getting their dream home is our mission here at The Indy Home Pros Team. We guarantee that you’ll surely get the finest home with us! This awesome two story home in 3518 W County Road 200, Danville, IN is one of the finest in town. It comes with a large great room, a master suite with double vanity and a nice deck in the backyard that will offer you a panoramic view on the landscaping. This home got plenty of upgrades and updates for you to enjoy. Having this home will surely fulfill your desire of a perfect home. We would love to schedule a show for you anytime! For additional information please call us at 317-298-0961. Local folks always enjoy natural and children attractions in Avon Area, which is one of the most popular cities from tourists’ attractions point of view. As far as the tourists’ attractions are concerned, Avon Area has already been made up to the mark to meet the international tourists’ needs. With some of the best tourists’ sites, Avon Area has become one of the most preferred places of tourists in Indiana State of United States of America. You can always follow some of the top tourists’ attractions in Avon Area. Avon Perennial Gardens is considered as one of the top sites in Avon with its year-round feast for soul. Natural Attractions: Avon Perennial Gardens covers social gatherings, live music, parties, and showcase of attractiveness of landscape, natural trees, shrubs, herbs, and perennials for sale. Prestwick county club is another top addition in the Avon area tourist’s attraction. Opened for both local folks and international tourists, Prestwick county club provides you with a calm and quite environment to enjoy your best time with your family and friends. Danville, Indiana is an ideal place to get a home. The school system is great in which the folks loved, that’s one of the reasons why people move in the area. The location is also great for small business like if you are interested in working where you live. It’s a great community with amenities like the Ellis Park that continuously innovate exciting programs and events which made it a popular destination all year round. There are a lot of beautiful houses available. For inquiries and additional information, please call the Indy Home Pros Team now at 317-298-0961. We can schedule a showing at your most convenient time. Seize the opportunity of being a part of this great community! Don’t waste an opportunity! Have a home in AVON, IN. The housing market in Indiana is currently over the roof and will continue to grow. Who would not want to live in a state where there is low cost of living but higher income, more job opportunities and lots of amenities nearby where a family can spend their spare time together. Surely, everyone only wants what’s best for the family. So what are you waiting for? Get a Home in Avon, IN now! There are still properties on the market for you to take advantage. It’s one of the top 10 cities for homeownership in Indiana located about 15 miles west of Indianapolis. They’ve got annual festivals where people take part for fun. There’s nothing more fulfilling in securing a bright future for your family. Come and visit us at 2611 Waterfront Parkway E. Dr. #225 | Indianapolis IN 46214 or call the Indy Home Pros Team at 317-298-0961 for additional information.